Matching Dad & Kid's Shirts Just $13.99! Down From $24.99 PLUS FREE Shipping! You are here: Home / Great Deals / Christmas Deals / Matching Dad & Kid’s Shirts Just $13.99! Down From $24.99 PLUS FREE Shipping! 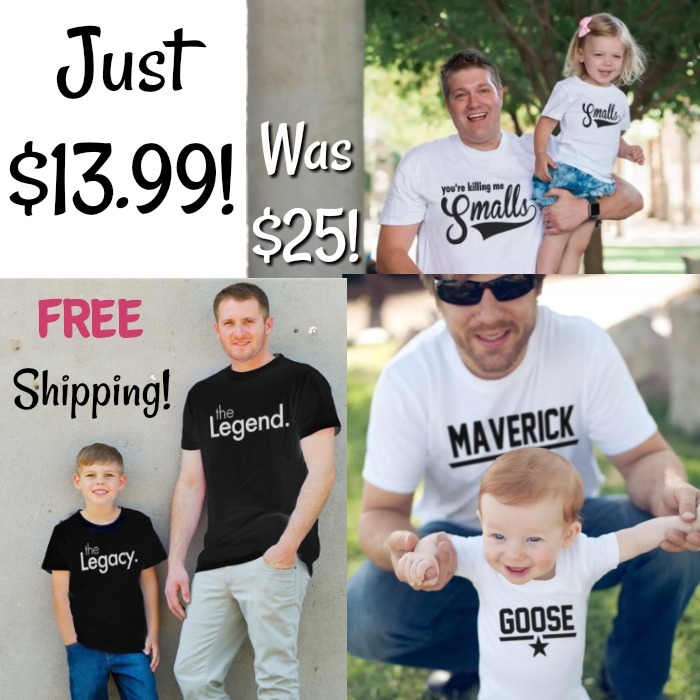 Matching Dad & Kid’s Shirts Just $13.99! Down From $24.99 PLUS FREE Shipping! What a fun gift! Matching Dad and Kid’s Shirts just $13.99 right now, down from $24.99! PLUS FREE Shipping!